Embien developed Industrial IoT Device with Analog Front Ends and LoRa connectivity! Embien is in the forefront of wearable development for the past few years. We have worked with different type of wearables and IoT devices including wrist wearables, body worn, portable connected instrumentation devices etc for both consumer and industrial applications. Usually for such designs the communication distance requirements is quiet less - typically few of meters from a gateway - typically a smart phone. But for a particular industrial IoT device design requirement, we are requested for a design capable of communicating even if it is few kilometers from the gateway. Needed for an industrial application, the design is to be deployed across a large area tracking few critical inputs from sensors including pH values, temperature, pressure etc. Also there is a need to monitor the presence of field technicians present in the local area when they are performing maintenance operations. It is also required to develop complete cloud infrastructure along with a mobile app front end. Embien analyzed the requirements in detail and developed a complete working solution. Multiple communication technologies available in the market like SigFox, LoRaWAN, GPRS etc are considered. Based on various factors, finally it was decided to go for LoRa connectivity. Apart of this, many other features were added BLE for asset tracking, complex analog front ends for signal processing. Embien also designed and developed the cloud connected framework and mobile front ends and accelerated the overall time to market significantly. On detailed analysis, we decided for a Freescale/NXP Kinetis based design leveraging the on-chip BLE capability. Third party LoRa module is integrated on to the solution enabling rapid deployment of the final design. 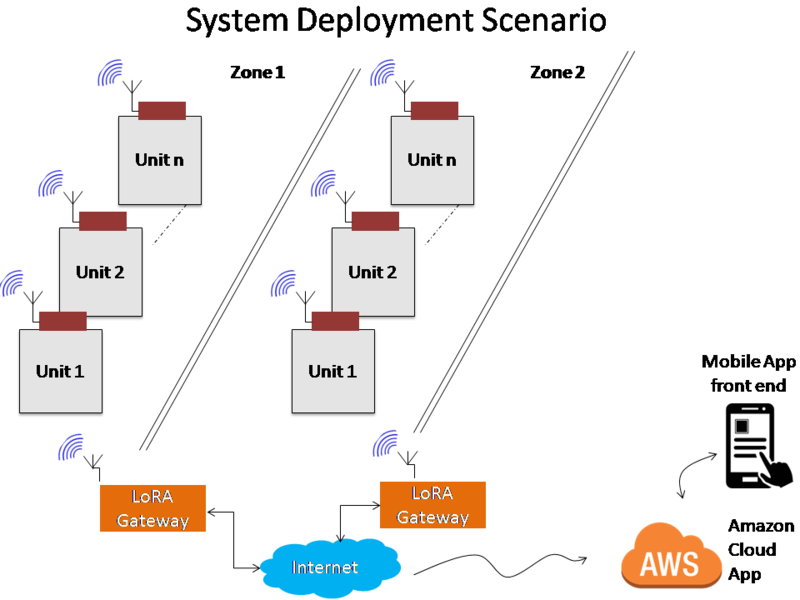 LoRa gateways are strategically placed to maximum signal coverage and seamless communication. With in-built BLE functionality, the device could monitor the presence of technicians attending their job as they are provided with low cost BLE Beacons for this purpose. The design has integrated analog front ends that is capable of monitoring devices at high accuracy and precision. Periodically the critical sensor inputs are sampled, processed internally and sent to the server via the LoRa gateway. It is also possible to explicitly send alarm and critical events to the server. The server also has the ability to read the data at any point of time. About user interface, few buttons are provided to be used by the technicians for various use cases. Couple of LED's are provided for indication purposes. To conserve power all the modules are set to very low power states and unnecessary circuitry switched off when not used. Further the design is highly compact with 6 layer PCB design enclosed in a tiny IP68 enclosure. Antenna design was taken care well to avoid performance degradation due to multiple RF components present close together. As business intelligence contributes to the bottom line of the organization, the collected data has to be stored, analyzed and key information extracted. This calls for a cloud server running intelligent algorithms. The server part is developed using Amazon Web Services server. An instance of virtual server is used to handle the requests. The LoRa gateway stored the information in a third party server and in turn fetched to the cloud server. Custom algorithms are developed and insights obtained as needed by the customer. Embien also developed the web based front end for the AWS IoT Cloud Application. As large number of such areas are present across geographies, grouping mechanisms are provided. Extensive reports are generated including the sensor values are present across the location, values going off the limits, alarms and events etc. Maintained reports are also provided along with when and how long the maintenance are done. Exact time stamps of any such events are also provided. A mobile app is also provided to present these information to smart phone users. It also supports a server initiated Over the Air upgrade of the firmware using LoRa communication enabling easier maintenance of the system. Embien incorporated user experience design in every part of the development activity thereby creating a user friendly product. 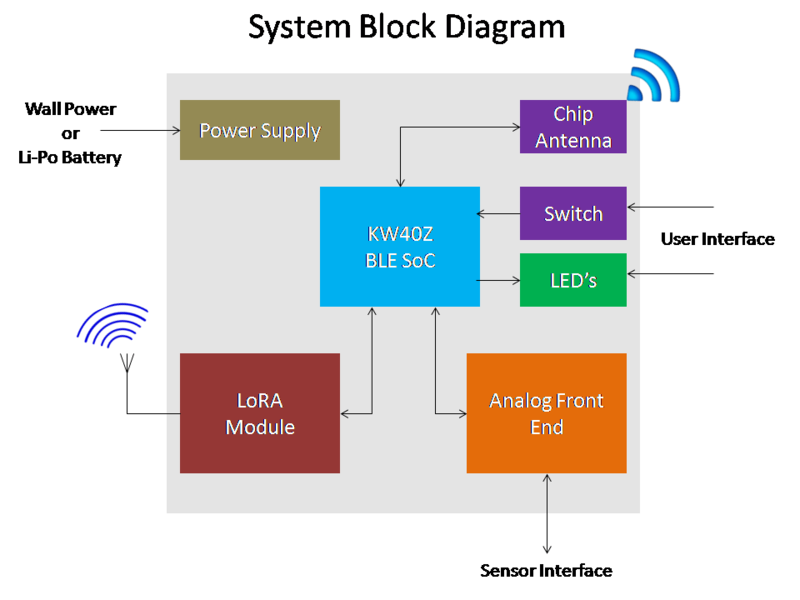 The overall system compromising the industrial IoT device with Bluetooth positioning, pH meter calibration, optional ORP sensor and LoRa connectivity, AWS IoT Cloud Application and Android/iOS mobile App is developed successfully. Feel free to contact us to be a part of such a success story.